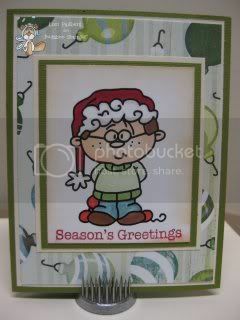 How are you doing on your Christmas cards this year? I know it's only May but you could get started...you'll be so glad when December rolls around. If you're not in a Christmas mood, head over to the Catch the Bug blog to see what the rest of the Bugaboo DT wants to show you today. You're sure to find lots of inspiration.